​The era of the ​Golden State Warriors in Oracle Arena is coming to a close, as the team plays their final regular season home game at the stadium on Sunday night. 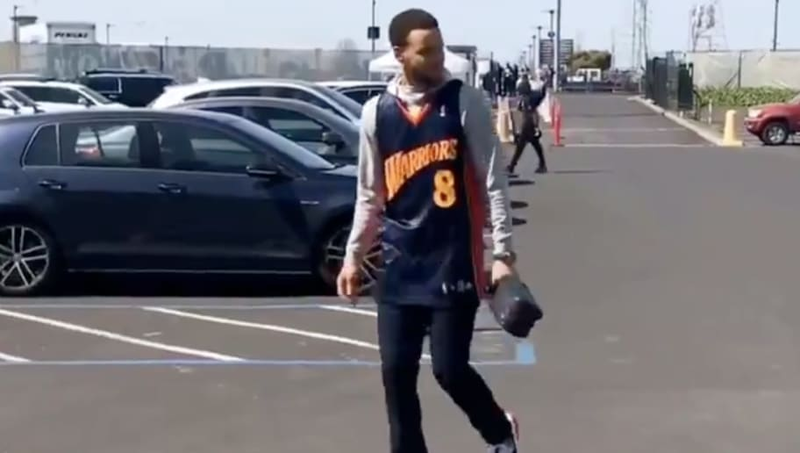 Ahead of the game, ​Steph Curry was seen paying tribute to former Warriors star Monta Ellis. The 30-year-old walked into the arena wearing a throwback Warriors jersey with Ellis' No. 8 on the back, in homage of his former teammate. This is a classy gesture from the star guard, who clearly appreciates Ellis' contributions not only to the team, but to Curry's own career. Ellis acted as a mentor for Steph during his early years in the league, playing alongside one another for two and a half seasons. With Golden State set to play in their ​new arena, the Chase Center, in 2020, the team wants to have a memorable exit from Oracle Arena before making the move to San Francisco. They host the Clippers at 8:30 p.m. ET.